ESTABLISH A RELATIONSHIP WITH John R. McGonagl Jr. CFP® PROFESSIONAL. 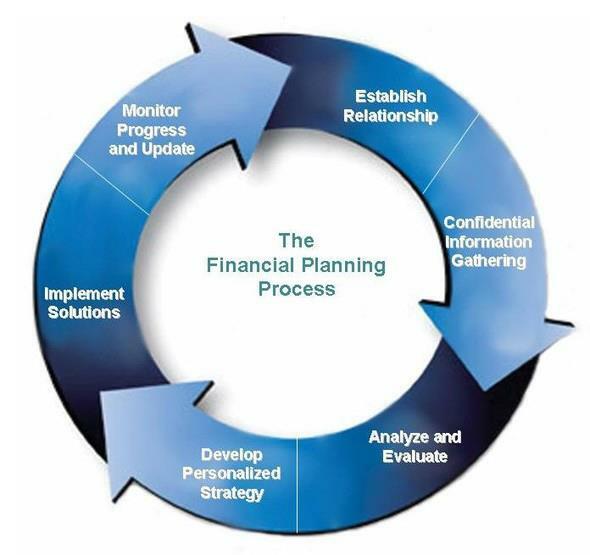 He will explain his financial planning services and define each of your responsibilities. Along with compensation, you'll discuss how long the professional relationship will last and how to make decisions. GATHER YOUR DATA AND DEVELOP YOUR FINANCIAL GOALS. You and John will talk about your current financial situation and gather any necessary documents. Together, you'll define your personal and financial goals, including timeframes. You may also want to discuss your comfort level when it comes to taking financial risks. ANALYZE AND EVALUATE YOUR FINANCIAL STATUS. John will consider all aspects of your situation to determine what you need to do to meet your goals. Depending on what services you've asked for, John may analyze your assets, liabilities and cash flow, current insurance coverage, investments or tax strategies. REVIEW YOUR CFP® PROFESSIONAL’S RECOMMENDATIONS. John will go over his financial recommendations, explaining the rationale so you can make informed decisions. At this stage, John will also listen to any concerns you may have and revise his recommendations if necessary. SET YOUR COURSE. You and John will need to agree on how the recommendations will be carried out. John may carry out the recommendations or serve as your coach, coordinating the process with you and other professionals, like attorneys or stockbrokers. BENCHMARK YOUR PROGRESS AGAINST THE FINANCIAL GOALS YOU ESTABLISHED. As you work toward your goals, you and John will need to decide who will monitor your progress to make sure you're staying on track. If John is in charge, he will check in from time to time, reviewing your situation and making any necessary adjustments to his recommendations.